Need laser cut keys for your vehicle? Have you looked everywhere but can’t find your car keys? Well you’re in luck,858 Locksmith is available to help get you back in your car. We know how frustrating being locked out of your vehicle can be and the inconvenience that it brings. What you need is a reliable 24/7 locksmith service that is close and ready to help. Don’t bother with calling a towing service that charge you outrageous fees. We can dispatch our mobile locksmiths to assess your requirements and provide the best solution at any time, anywhere in San Diego CA and surrounding areas. 858 Locksmith is a trusted name in San Diego, CA for automotive locksmith service. We are licensed bonded and insured professionals that provide complete locksmith service. We provide honest service, and up front pricing. We handle all types of car key replacement and lock issues that might occur 24/7, for foreign and domestic vehicles. Our locksmith services include car lockout, ignitions, unlock trunk, key replacement on the spot, hard to program keys, and so much more. 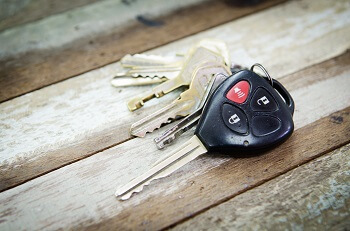 Replacing a car key is a complex process, requiring a specialized cutting service offered by expert locksmith technicians. But, we have the expertise in laser cut keys and car key replacement. With well-equipped service vans,24/7 locksmith service and 30 min response available you can always count on our expert technicians to provide you with complete locksmith service. Our locksmith technicians are properly trained and can handle car key problem fast so you can get back on the road. Each of our locksmith experts has 5+ years experience providing services to our customers in San Diego CA and surrounding areas. Not only will our fast and friendly locksmith experts arrive at your location within 30 minutes but you’ll also receive the best price in San Diego. We ensure that our rates are competitive, because we know that during an emergency lockout, you are focusing on time and money. You’re already in trouble so we try to offer our services at affordable prices. Our expert locksmith technician will arrive with all the necessary and up-to-date tools. We offer replacement keys and laser cut keys services for all foreign and domestic vehicles. Having a car key cut requires the use of equipment that is specifically designed for key cutting. Laser cut keys are more accurate than regular keys. And laser cut car keys provide additional security feature because of the built-in transponder chips. Due to the transponder chips in the key, laser cut car keys have to be programmed before using them. If the transponder chip is not in the vicinity of the vehicle ignition switch when you insert the key, your car will not start. When our mobile locksmiths arrive at your location, they will assess the situation and fix the problem you’re experiencing with your laser key. Our expert technicians use our specialized laser key cutting machine to resolve the issue quickly and effectively. Our technician will also program the key, so you can avoid paying exorbitant price at the dealership. We pride ourselves on our up front pricing and our 30 min response time. We will make sure you receive fast and friendly service anytime you call. And with our top notch equipment and advanced technology, we can provide you with complete locksmith service. So if you are anywhere in San Diego CA, and you need transponder key or laser cut keys, rest assured that our locksmith experts can provide the best quality service at the best rate possible. 858 Locksmith is the most reliable locksmith company in San Diego CA and surrounding areas, and we can provide you with top of the line service. Our technicians are well trained and knowledgeable, and they are dedicated to coming to your rescue at anytime. With 5+ years experience in the field, fast and friendly service, and up front pricing, we have an established history of providing satisfactory service. And keep in mind, we are fully licensed bonded and insured. With the most affordable prices and unbeatable service we are a clear choice for your laser cut keys need and other auto locksmith issues that you are facing from key replacement to broken ignition keys or just keys on the spot. Call us to speak to our friendly service representative. Laser Cut Keys https://858locksmith.com/laser-cut-keys/ 4.4/5 based upon 5 reviews.